You haven’t been able to carry out your sanitation duties diligently and now your place of work or home requires deep cleaning. Unfortunately, you don’t have the instruments and time to handle the task. If you are going through this unpleasant scenario, pick up your telephone and get in touch with us. 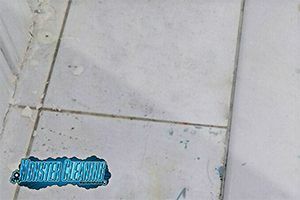 We are professional sanitation specialists and we are highly praised for providing comprehensive and punctual deep cleaning services in Maidenhead. We founded our company several years ago and since then we have become the contractor to go to when it comes to complex and large-scale sanitation jobs. At Monster Cleaning Maidenhead, we emphasise on customer satisfaction, so you can rest assured that we will provide you top-notch sanitation options that will cover all your needs and solve your all maintenance conundrums. We have invested into the best equipment that allows us to clean flawlessly heavy tarnished and stained areas, items and property features. The sanitation products that we use don’t contain any chemical or toxic elements. This makes our Maidenhead deep cleaning services both eco-friendly and suitable for children. We work with cost effective prices that can accommodate even the tightest budgets. We calculate our rates by taking into account the one of kind parameters of each job. This way we are able to provide to our clients high quality assistance without lowering the quality of your deep cleaning services in Maidenhead. Our fees are £12.5 per hour per cleaner for private clients and £13 per hour per cleaner for commercial customers. Please note that the prices do not included the usage of additional detergents and specialised sanitation gear. Our team of skilled and hard-working technicians handles all deep sanitation projects. We have carefully selected every single one or our cleaners, as we believe that a company is only as good as its employees. We also subject all our workers to a rigorous training procedure upon employment. This way, they are always up to date with the latest tendencies and technique of the cleaning industry. Bear in mind that our sanitation specialist won’t hesitate to walk the extra mile in order to accommodate all your demands and provide you the best possible deep cleaning services in Maidenhead. Our Maidenhead deep sanitation options can be booked via several mediums. Our telephone lines are open during traditional work hours while you can use our e-mail and online form at any time of the day. If you opt for the latter options, know that we will send you a response as soon as physically possible. You can also contact us for any of our services including oven cleaning.